The holidays are fast approaching, and we don't want you to miss out on anything! Be sure to visit your friendly local game store to score some old favorites and see what's new on the shelves. But if you still can't find that perfect gift, we have a few suggestions . . .
You've only got seven more days to take advantage of our 2018 Haul-iday Sale. 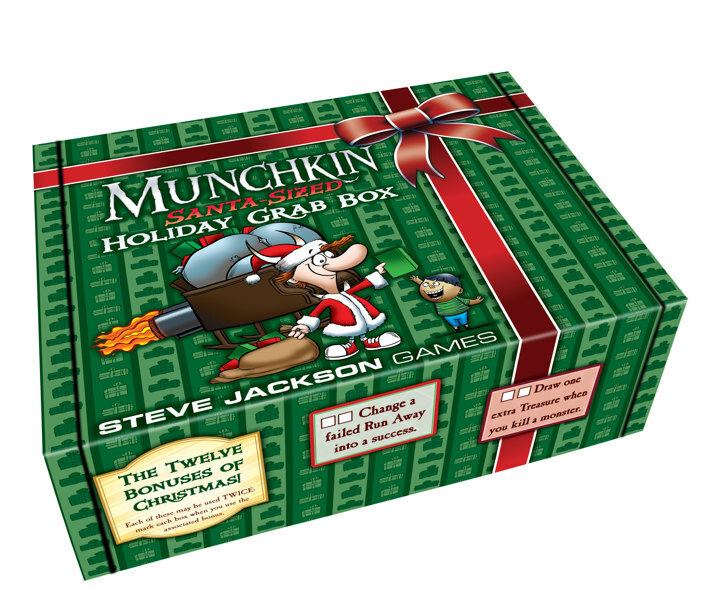 Save 23%, 50%, and even 75% off classic Steve Jackson Games, and get promos and swag with each physical order. But wait, there's more! We're also offering great gifts-with-purchase with all domestic, physical orders of $25 or more. Get all the things! Sale ends Wednesday, December 19, at 11:59 p.m. CST. Any items ordered after midnight on Thursday, December 20, will not ship until the new year. If you've waited too long to get something shipped, or if you just don't know what to buy, we can still help. Our Gift Certificates are the perfect last-minute fit for every occasion. Delivered straight to the recipient's inbox, all you need is their name and email address to get the party started! We'll do the rest.